National Wildlife Federation Certified Landscape Professional - creating a nationwide "green corridor" of backyard wildlife sanctuaries. CoStar partner in the EnviroStars Program - working to increase environmental stewardship in the Pacific Northwest. Gardening and observing nature has been a joyful, never-ending learning experience for me, and I enjoy sharing the knowledge that I have gained along the way. As an educator, my goals are to help connect children and adults to the natural world in a deeper way, with a holistic view of the plants, insects, birds, microorganisms, and other delightful creatures that we share the earth with. I believe that understanding the natural world also opens the door for gardening recommendations and nature science to make perfect sense, no matter what age we are. 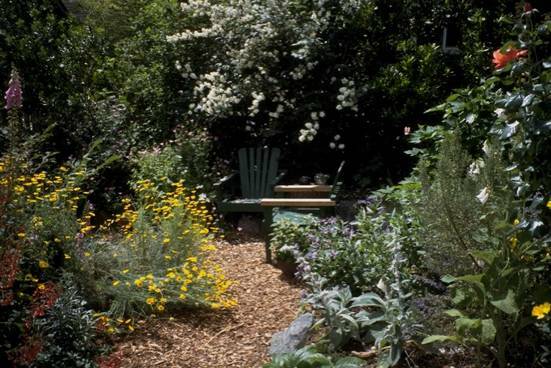 My goals are also to provide ideas that help make gardens beautiful and healthy, sustainable, a benefit to your life, and a benefit to the environment. Also, to provide practical gardening skills that make maintenance time enjoyable and successful, and save the time and expense of trial-and-error. I consider success to be measured by my ability to give others the green light of positive encouragement, while helping them add more of nature's green light to their lives. We're loving it here in our completed apartment!